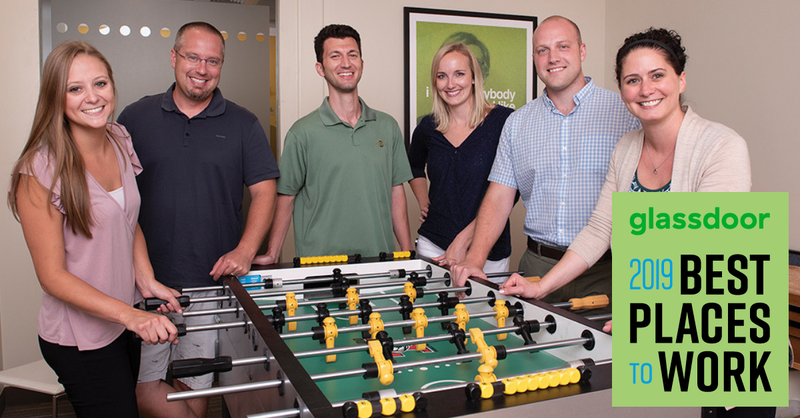 Digital Prospectors Ranked 5 out of the Top 50 on Glassdoor’s Best Places to Work! 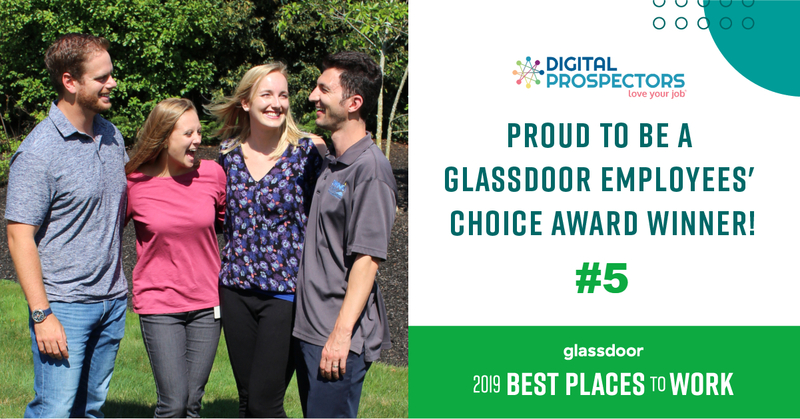 Digital Prospectors is excited to announce it is among the winners of the annual Glassdoor Employees’ Choice Awards, a list of the Best Places to Work in 2019! Ranked 5 out of the Top 50 on Glassdoor’s Best Places to Work U.S. Small & Medium Businesses, Digital Prospectors boasts an overall company rating of 4.9 out of 5. Digital Prospectors is the only staffing agency to make the list and is the highest ranked company in New England! Unlike other awards, there is no self-nomination or application process, instead it’s entirely based on the feedback our employees have voluntarily and anonymously shared on Glassdoor. To determine the winners of the awards, Glassdoor evaluates all company reviews shared by employees over the past year. This year, we are proud to be recognized as a Best Place to Work among small and medium U.S. companies with fewer than 1,000 employees. A huge thank you goes out to all our employees who took the time to share their perspective on what it’s like to work here. We appreciate all the valuable feedback as it only helps us improve. Visit Digital Prospectors’ Glassdoor page to see more reviews! You can learn more about the Glassdoor Employees’ Choice Awards and see the full list.